In File Explorer hold Shift+Right-Click on any selected item or group of items and you'll find the context menu item "Copy as path". Selecting this will add the path strings for the selected items to your clipboard. 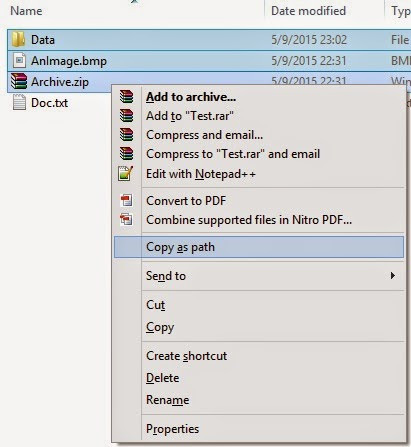 For example the image below shows a folder and two files selected inside the folder C:\temp\Test.